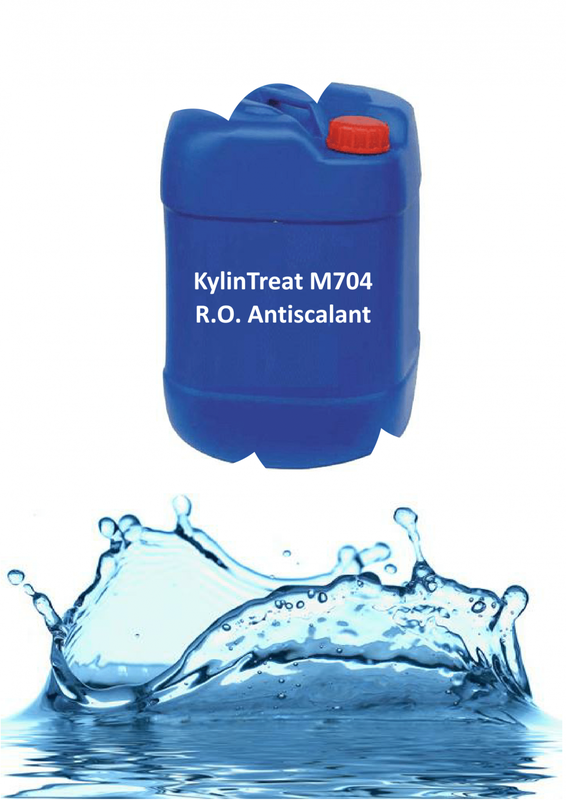 KylinTreat M704 is a highly effective antiscalant developed to control scale precipitates of Silica, Calcium Carbonate, Calcium Sulfate, Barium Sulfate and Strontium Sulfate, and reduce particulate fouling in the membrane separation systems of reverse osmosis (RO), nano-filtration (NF) and ultra-filtration (UF). KylinTreat M704 is phosphorous free. It is formulated by high performance multipolymers. Effective control of CaCO3 up to LSI +3.0, CaSO4, SrSO4, BaSO4, CaF2, SiO2, Fe2O3, etc. 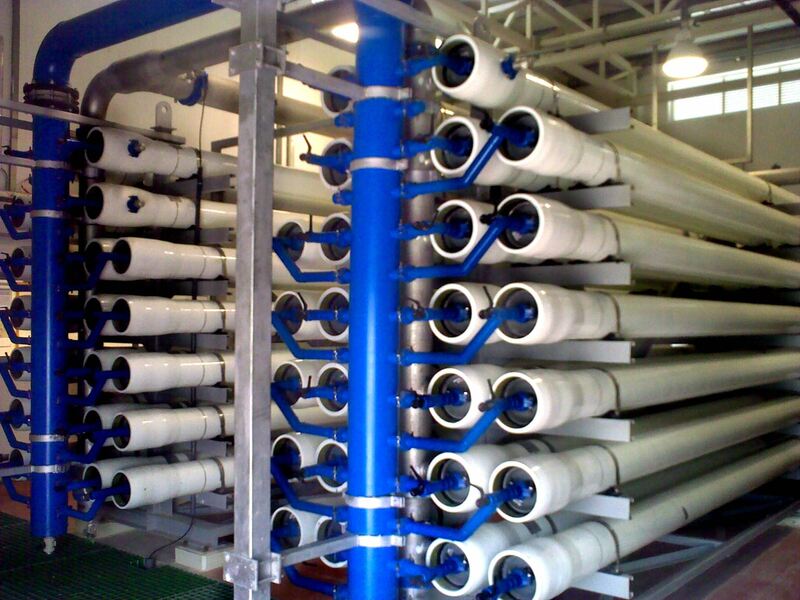 KylinTreat M704 is compatible with all of the leading reverse osmosis membranes, such as Dow, Filmtec, GE, Hydranautics, TORAY, etc. Highly effective over a wide-range of waters – for calcium-based and sulfate-based scales, notably, barium sulfate. Typical dosage range is 3 ~ 6 mg/L. KylinTreat`s Smart-Analysis system will help you to determine the best suited dosage & solution according to the specific conditions of your R.O. Systems. Contact your KylinTreat sales representative for thechnical support. Looking for ideal Hypersperse MDC704 Antiscalant Manufacturer & supplier ? We have a wide selection at great prices to help you get creative. All the RO Antiscalant are quality guaranteed. We are China Origin Factory of Hypersperse MDC 704. If you have any question, please feel free to contact us.